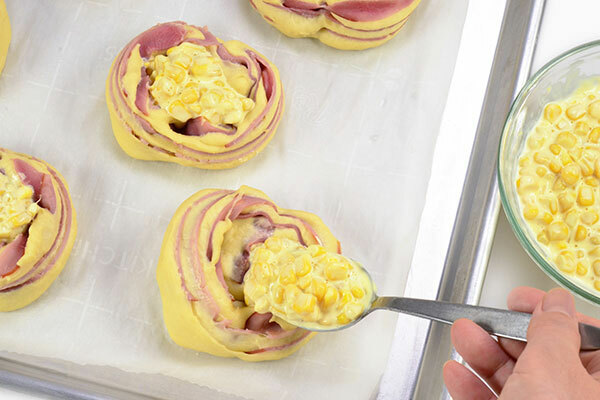 This popular Japanese deli bread is made of buttery bread roll that is filled with ham, corn and mayonnaise. 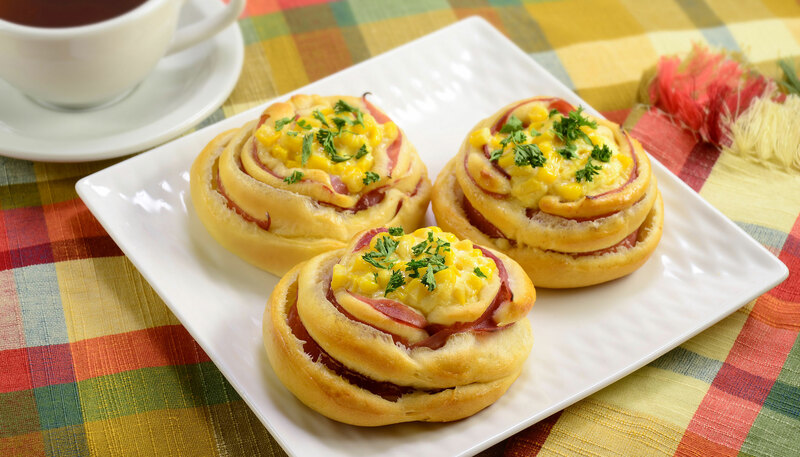 It makes a savory snack or a convenient lunch! 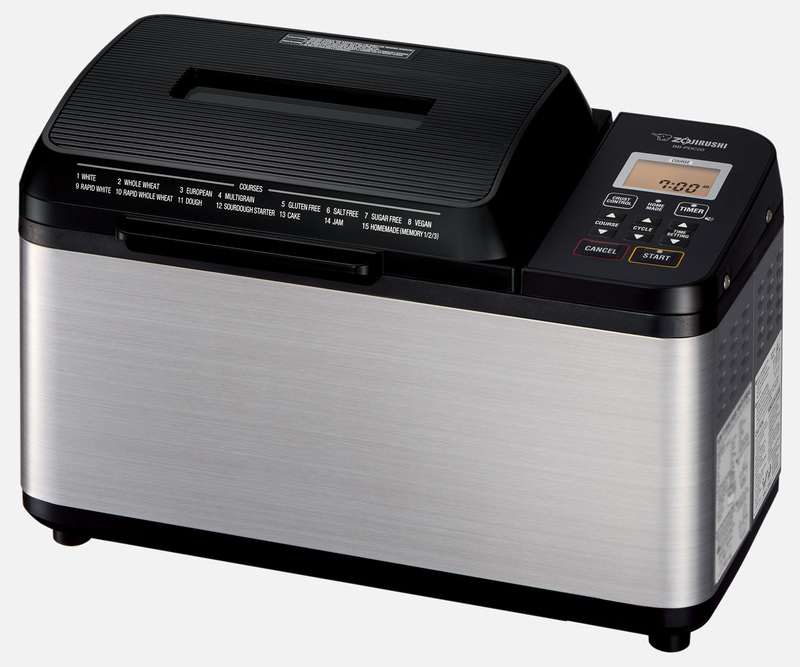 Making these are easy with a Zojirushi breadmaker. 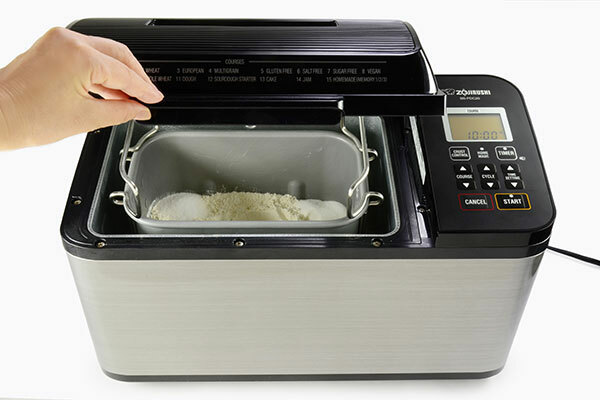 Following the steps in the instruction manual, prepare the dough using the ingredients listed. 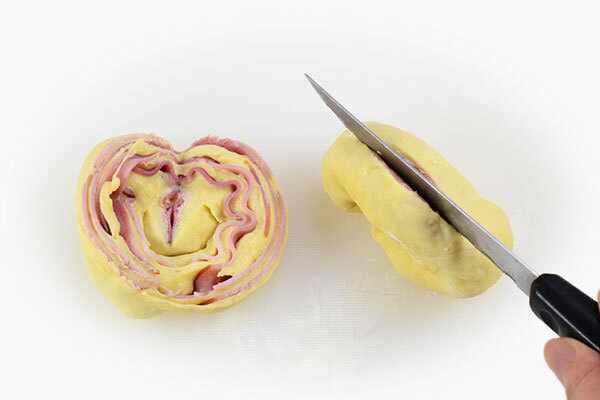 When the DOUGH course completes, remove the dough and divide into 16 equal pieces and shape each into a ball. 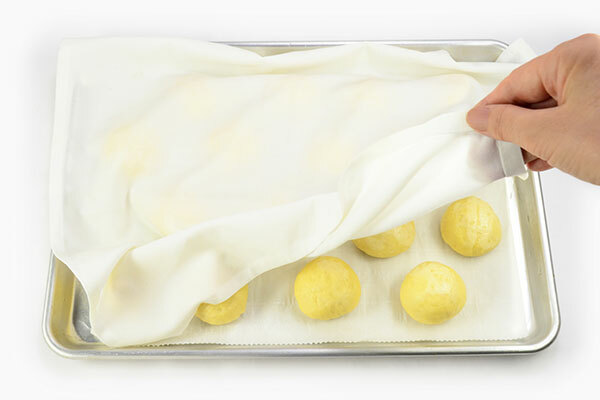 Cover with a cloth and allow to rest for 20 minutes. Place dough on a lightly floured board. 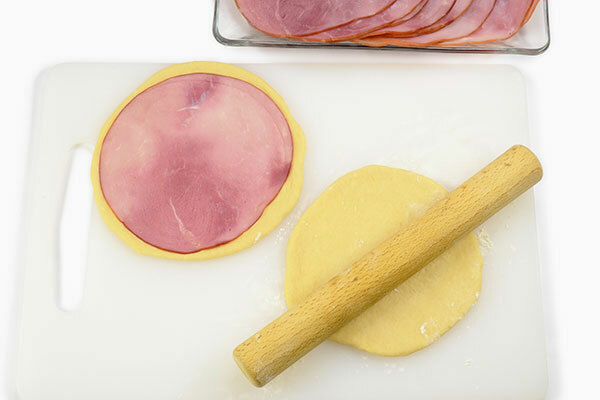 Use a rolling pin to flatten each dough into a circle, 1/2 inch larger than the lunch meat. 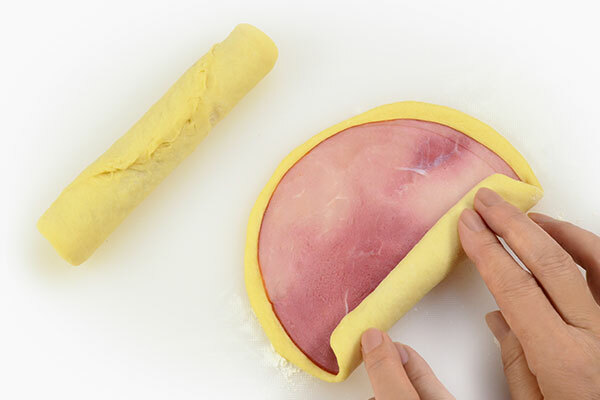 Center lunch meat on the dough. 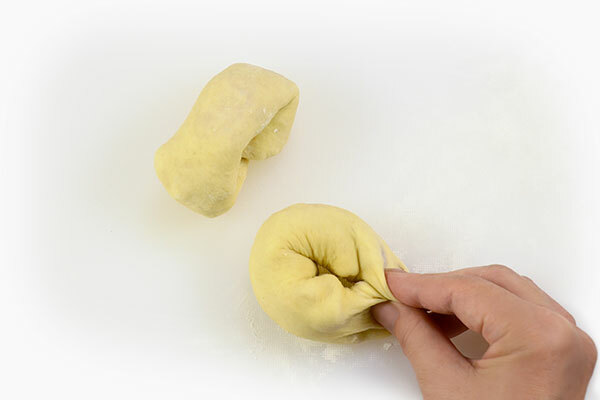 Roll up into a tube and pinch the ends of dough to seal. Bring the two ends of the cylinder together like a ring and pinch ends together to seal. With seamed side facing down, press flat on cutting board. Make an incision lengthwise and butterfly open. 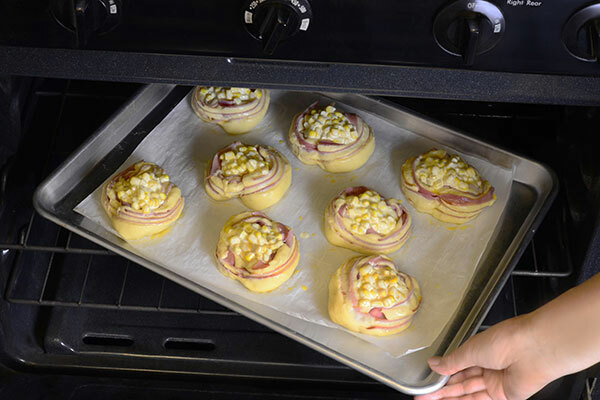 Place buns on a parchment paper lined baking pans. 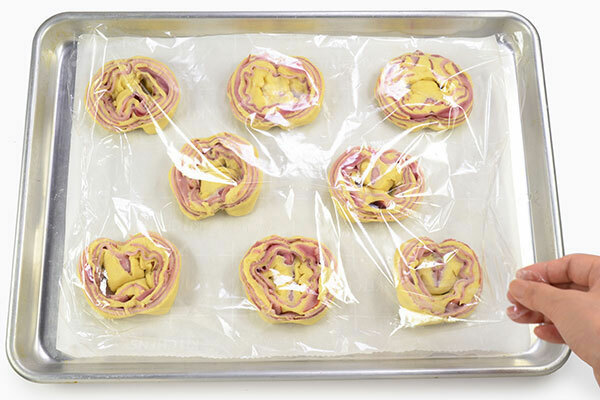 Cover with plastic wrap (to keep the surface of dough from drying out), and allow to rise for 30 to 40 minutes or until size doubles. 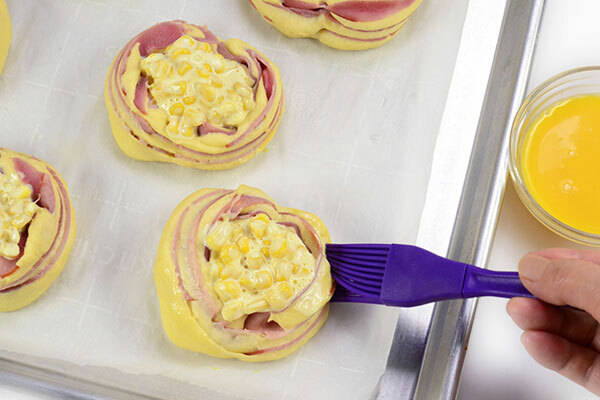 Make the corn filling. 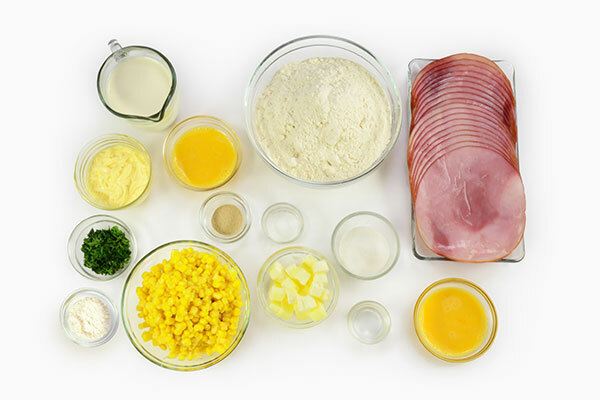 Drain canned corn, then mix with mayonnaise in a bowl. 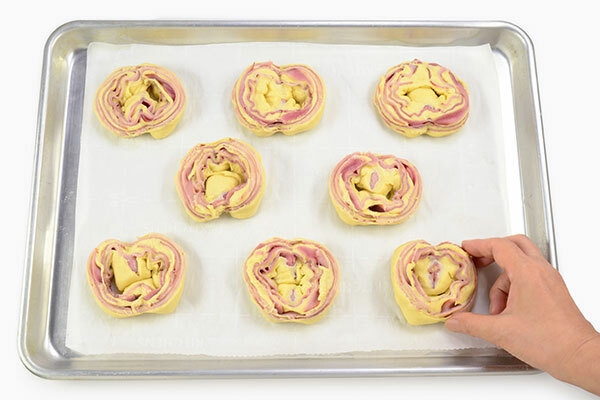 Place mixture at the center of each bun. Make egg glaze in a separate bowl. 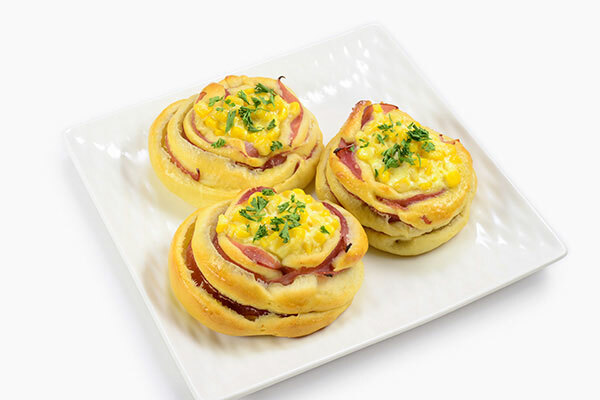 Mix eggs and water, then lightly brush glaze on bread dough. 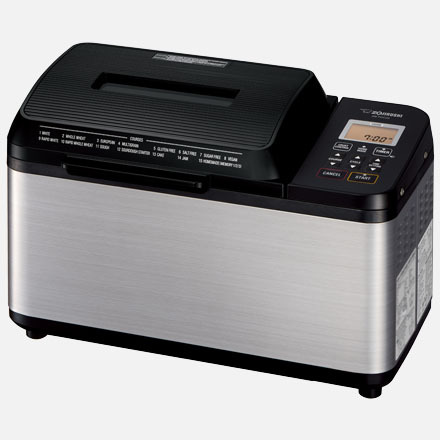 Bake in an oven preheated at 375°F for 10 to 15 minutes, or until golden brown. 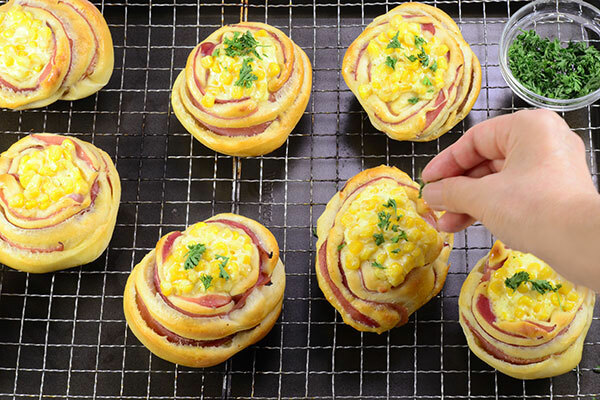 Transfer the baked buns to a wire rack and sprinkle over parsley flakes.